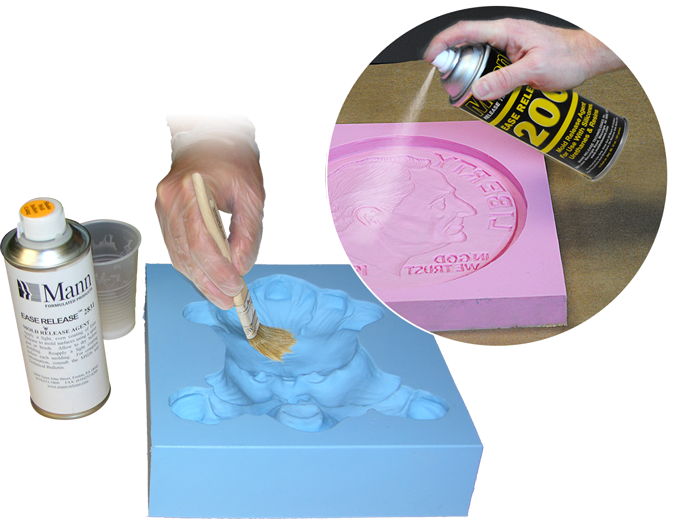 Ease Release™, Release Agents | Smooth-On, Inc.
Ease Release™ 200 (spray), 205 (liquid) works with both urethanes and silicones for making molds and casting parts. This product will release polyurethane elastomers, epoxy resin, polyester resins, RTV silicones, rubber, and thermoplastic polymers. Effective on aluminum, chrome, RTV silicone, epoxy, rubber, and steel molds. Ease Release™ 2831 is a wax-based non-silicone liquid release agent. 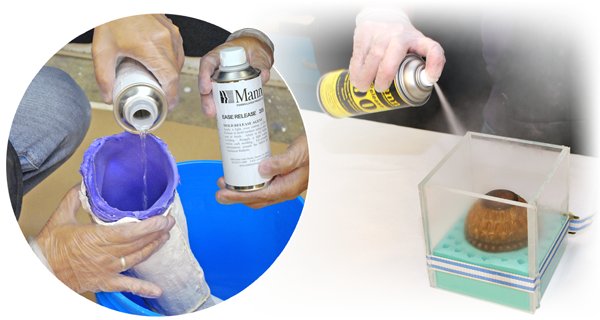 It has proven to be effective when used to release polyurethane foams. This wax dispersion is designed to operate at mold temperatures ranging from 160°F to 230°F with minimal wax build-up. Works with aluminum, steel, and elastomeric mold construction. 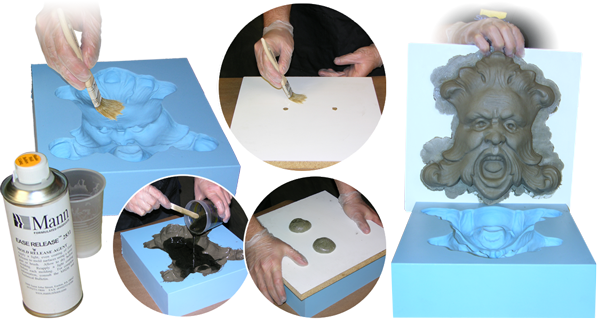 Developed especially for releasing rigid and flexible urethane foams from a variety of surfaces.